Brand-name quality Sweats for less! Limit one per person. High quality fabric and reinforced construction, They offer warmth, comfort and durability in a variety of sizes. Cotton/Poly blend for combination of fit, comfort and minimal shrinkage for an attractive price. 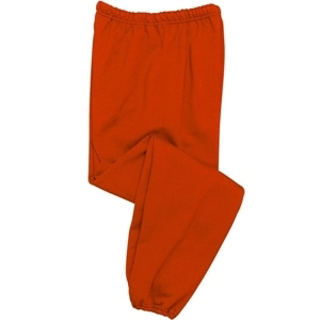 Sweatpants have elastic cuffs with no drawstring and no pockets for added safety and security.